Music industry executives have accused Apple CEO Steve Jobs of hypocrisy, and called Jobs 'open letter' on DRM, issued three weeks ago , a 'red herring'. The comments came at the Digital Music East Forum being held in New York CIty. 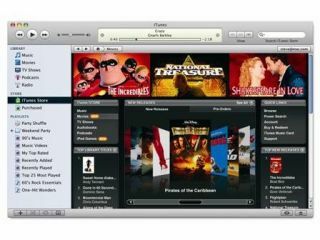 Ted Cohen, MD of music consulting firm TAG Strategic , said at the conference that if Jobs really wanted the industry to get rid of DRM then he should remove FairPlay copy protection from Disney movies on the US iTunes Store . Steve Jobs is Disney's largest individual shareholder. Mike Bebel, CEO of the Ruckus online music store, also condemned Apple's FairPlay DRM at the conference, saying: "Look, I don't think anybody is necessarily down on Apple. The problem is the proprietary implementation of technology... and it's causing everybody else who is participating in the marketplace - the other service providers, the labels, the users - a lot of pain. If they could simply open it up, everybody would love them." The industry's defensive position is perhaps not too surprising. CD sales have fallen 23% worldwide since the turn of the century, and legal downloads haven't make a lot of difference to the industry's bottom line. News.com says that despite a 131 per cent jump in digital download sales, the music biz still saw its revenues decline by 4%.